what are the headlights like on these? I'm contemplating buying an MD wagon. I'd like my next car to have much better lights than the halogens on my current car. While I can read the spec sheet, advice from MD owners would be appreciated. Re: MD mondeo headlights: good? The HIDs in the Titanium spec are fan'bloody'tastic! sharp cut off adaptive, wide and bright. I don't know if there's a problem with mine or not, but to me, they don't seem to illuminate far enough ahead for my liking, despite emitting a whiter, brighter light overall. Suggest taking one out for a test drive at night and decide for yourself. My MD Titanium has the Adaptive LED's and they are great on low beam. Highbeam is pretty standard same as my previous HID equiped Mercs etc. Im just about to fit an LED light bar in the front grill. 2016 FG X Falcon XR6 Sprint Sedan - Smoke. 2017 PXII Ranger Wildtrak - Magnetic. 2017.5 MD Mondeo Titanium Diesel - Magnetic. Going Ford is the going thing. 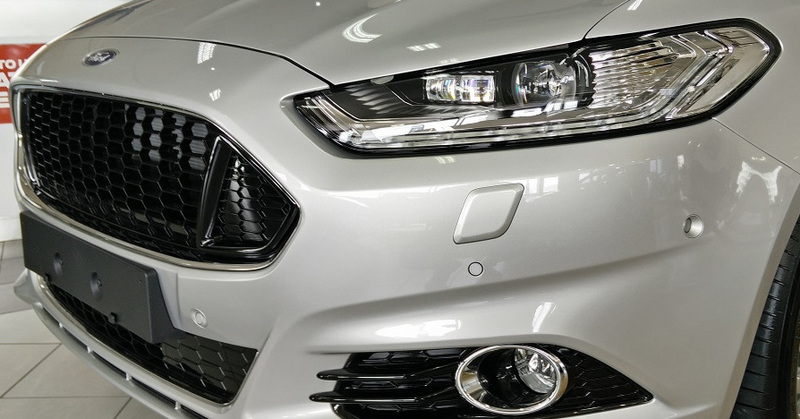 Sorry I meant to type LEDs (so use to typing HIDs for others), yes again to Matrix type in that they use multiple lens LEDs to make one beam and whilst it's not as fancy as other Euro vehicles (audi/bmw), least we forget, it's a Ford and priced like one. They're still a step up. OK thanks, what about the lights on the Ambiente/trend? Would like to see that ! I would say very standard on both low and high beams. When Ford decided to use the projector style low beams, the overall light throw decreased, in my opinion. They do throw a more precise light with a better cut off, but nowhere near the overall light like the BA / BF / Territory reflectors offer, especially with a good H4 upgrade. Have thought about an LED upgrade on my Trend, but since it's nose cone off, I'm not motivated. nosecone off? so what's it like changing bulbs on these? and maybe I need to limit my search to a titanium? They are much rarer. I had a similar problem and asked the dealer to re-aim the low beam "reach" - based on that experience DON"T do the same as me. The car was returned with the beams pointing above the horizontal - and set for driving on the right hand side of the road. The low beams have a reach of about 60 - 100 metres versus the previous 30 metres with excellent visibility and such a sharp vertical cutoff that the top half of highway road signs are not well lit - there are always some compromises. The high beams have a reach of 300 metres or more and are bright enough that I get told abut them by oncoming drivers before the automatic dipping occurs - so I'm assuming that they are very bright on high beam since sometimes this has happened on divided highways at distances of up to 1000 metres, sometimes it is HGV drivers who let me know. They are a significant improvement over the MA we used previously and I regarded those lights as very good. If anyone wants the details about how I got the lights aimed correctly, let me know and I'll post up a reply.